Mission control for your bakery. Increase accuracy, improve customer satisfaction, and save time with OrderNova’s bakery order management platform. Quickly build your online bakery store with customer accounts, featured items, and simple payment solutions — without the costs and overhead of building and managing a custom website. Set up automatic bakery orders for your wholesale customers. Avoid forgetting an order again. Make complex items easy to order — both online and in-store. Increase order accuracy and know your products (including complicated custom cakes) are always priced properly. Ensure you meet customer demand. Know what to bake, when to make it, and where to take it. Keep your bakery wholesale customers happy. Offer special pricing by discount group, individual product pricing — or a combination of both. Manage bakery orders for multiple stores. Pickup, deliver, or ship from any of your locations. Bakery order management that will have you over the moon. 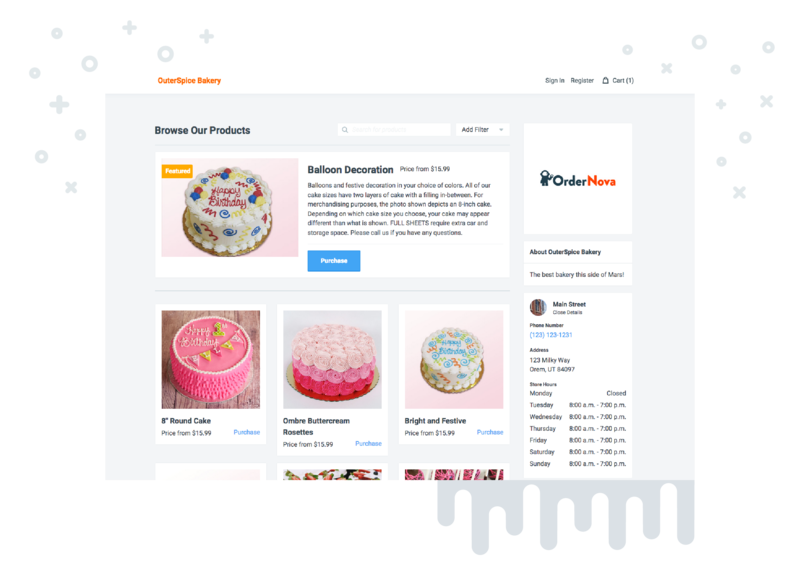 OrderNova offers instant e-commerce for bakeries, advanced product templates for easy ordering, and bakery wholesale ordering. Decrease the labor costs of order taking. Responsive website design lets customers order from laptops, tablets, smartphones, and more. Use featured items to increase the sales of your best and most profitable items. Make complex items easy to order. Create templates and attributes that can be used across multiple products to allow for easy cake ordering. Recurring orders make sure you avoid missing a repeating order again. With our wholesale portal, your customers can log in and manage their orders themselves. Give OrderNova a try. No credit card required. 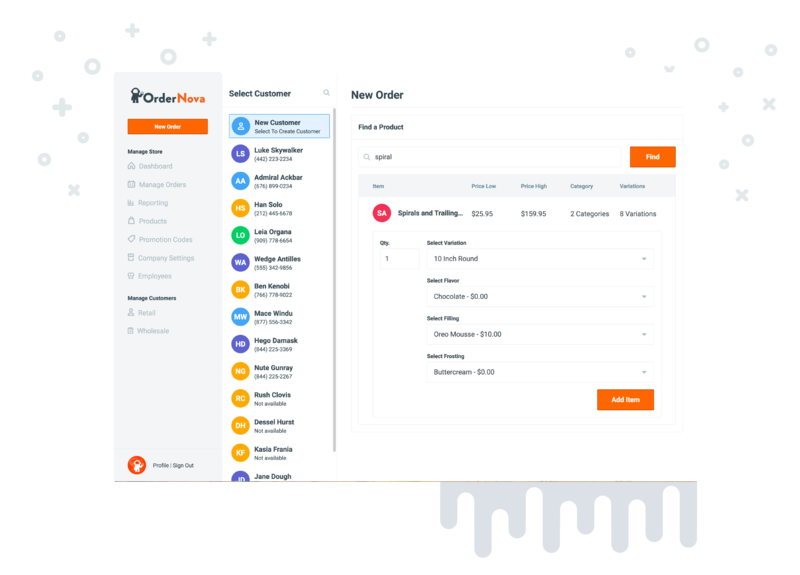 OrderNova is a bakery order management platform for independently-owned retail and wholesale bakeries. 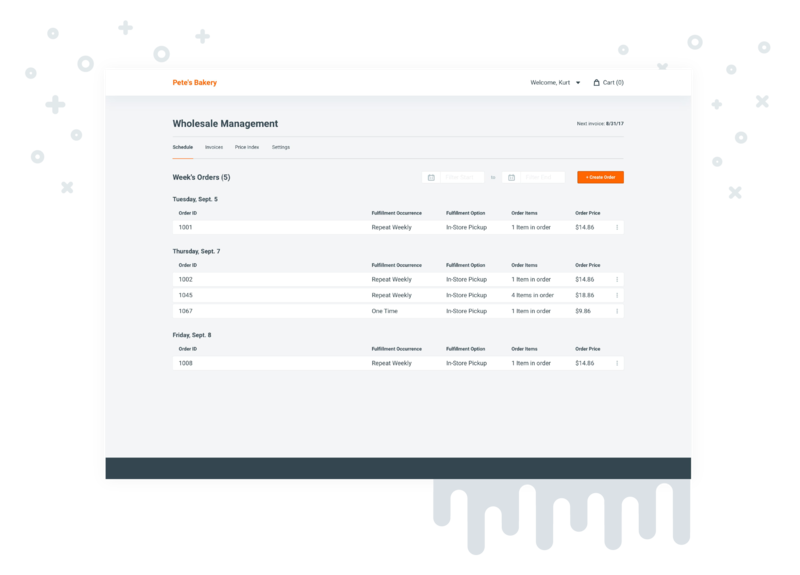 Our solution offers complete mission control for your bakery with features like e-commerce, recurring orders, custom cakes, flexible pricing, detailed reporting, and more. Have a question or just looking to chat? Reach out! We’re here to help.